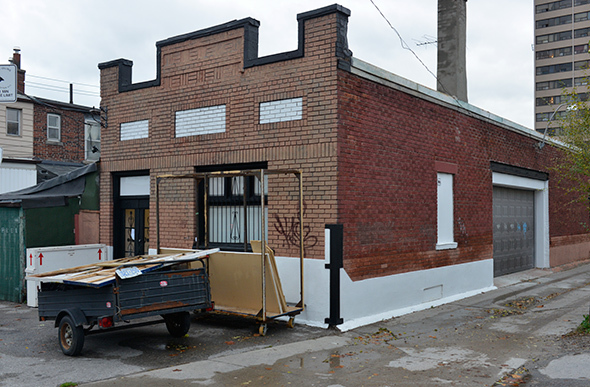 No less than five Toronto galleries have emigrated to the area around Dupont and Lansdowne as part of a reconfiguration of the city's art scene, which has left former gallery hotbeds like West Queen West and Ossington only sparsely dotted with art spaces these days. The exodus actually began over five years ago when Mercer Union moved to Bloor and Lansdowne, but was further solidified when Jessica Bradley opened up near Davenport and Old Weston Rd. in 2012. She has since closed her gallery, but not before ushering in a migratory wave that witnessed the rise of the Junction Triangle as destination number one for contemporary commercial art spaces in Toronto. Dupont is the latest iteration of this northwesterly trend, but it's important to note that places like Daniel Faria opened up on St. Helen's three years ago. This arts scene has been brewing for a long time, indeed. And it's only bolstered by the presence of Clint Roenisch and Gallery TPW. Dupont is the next big thing, but let's get one thing straight: it ain't the next Ossington. While you could conceivably do a gallery hop to check out all the activity that's popped up here, as a whole, these art spaces are rather spread out. The street lacks the unified character that defines the short stretch of Ossington between Queen and Dundas. And maybe that's a good thing. 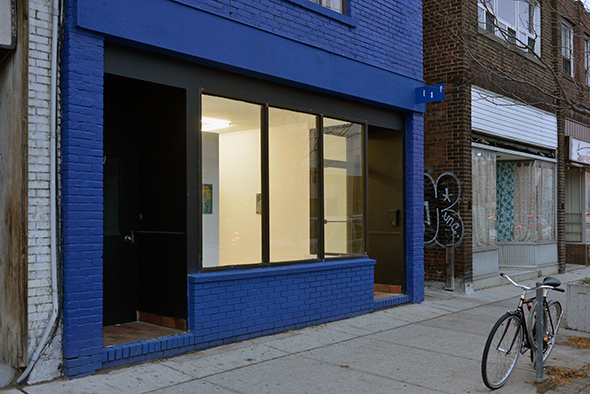 When one thinks about it now, the gallery boom on Ossington was ultimately short-lived. Angell Gallery opened at the height of it back in 2010 and was gone just five years later. The sense one gets on Dupont, however, is that the scene will have more staying power, even as condo pressure mounts at places like the Galleria Mall. Here are six new galleries to check out on Dupont St. There was initially some concern/curiosity about a possible drop off in foot traffic with the ove to Dupont, but gallery coordinator Rob Echlin happily notes that the hard-to-spot location has not proven a detraction to visitors. In fact, with ample parking in front of the gallery, a particular demographic of clients is now more happy to visit the space. Definitely worth the tag "destination space." Cooper Cole is the most easterly of the new galleries, but with Neubacher Shor now open as a middle point, the new stretch of art spaces is mostly linked. While I was always fond of the old Dundas West space, the new iteration is friendly to the more serious installation-based work that Cole now shows and allows for more creative exhibitions. Now in its third Toronto iteration, having first opened on West Queen West before moving north to Dundas and now to Dupont, Erin Stump has found a great space in what is becoming a busier and busier stretch of Dupont. Unlike the other recent transplants, Stump has a classic storefront space, but it rather miraculously opens up into a huge back space far bigger than before. 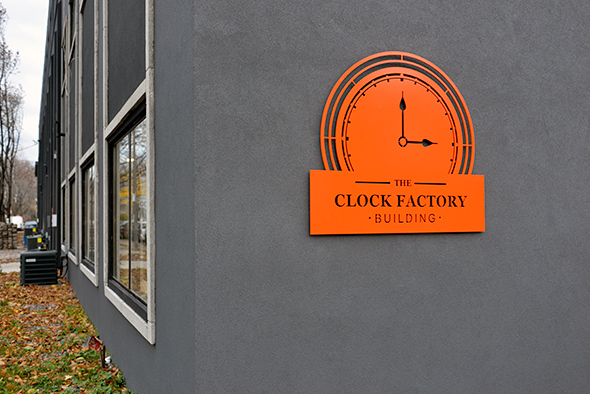 Located on the third floor of the Clock Factory Building at Dupont and Campbell, p | m Gallery is only open on Fridays and Saturdays (as well as by appointment). It's perhaps the best example of a gallery that's divorced itself from the notion that pedestrian traffic sells art. It doesn't. This is more of a destination gallery now -- one that's sure to see lots of activity thanks to this gallery new community. Neubacher Shor Contemporary occupies a spot on Emerson just off Dupont that I've always thought should be some sort of art/cultural space. Located on the dead end northern side of Dupont beside the Shell gas station, the gallery is housed in a detached warehouse style building that's as unassuming as it gets. Inside, however, you'll see some of the best young talent in Canada. Autumn is the newest member of the Dupont scene, occupying a storefront space just west of Erin Stump near Franklin Ave. Part studio, part publication, part gallery, Autumn is a hub for the arts that will be most welcome in a neighbourhood that's now teeming with galleries and working artists in the mostly affordable housing that surrounds the area. What's your favourite new Dupont transplant? Let us know in the comments.